Below you will find instructions on how to create an account using a credit card. From our home page, click on the products tab. If you have a coupon code, enter that in here, if not, just click Check Out. 1. If you have already created an account, log in. If you have requested a quote from us in the past, an account has been already created for you. Use the same email address that you requested the quote from and the password is the first name of what you put in the school address. 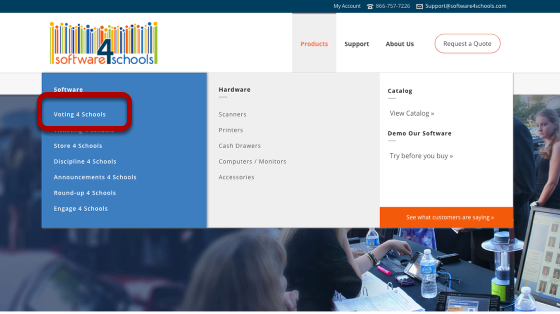 For example if you put for school "Chatsworth High School", you password is Chatsworth. 2. 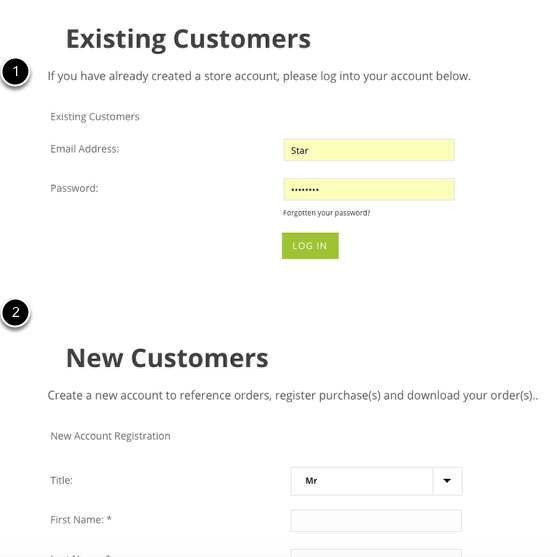 If you don't have an account, fill in the information under New Account Registration. You can pay with a Pay Pal account or a credit card. Previous Page: Using a P.O. 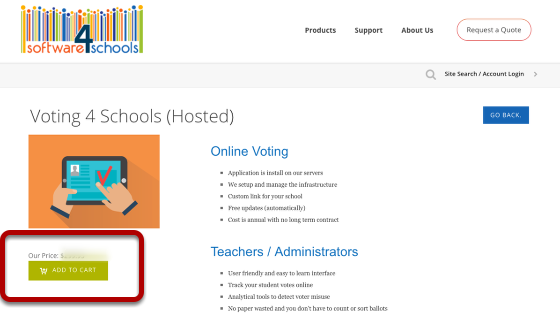 to Purchase Voting 4 Schools Table of Contents Next Page: How do I Log In?